AccurioLabel 190-Juma Almajid Office Equipments. 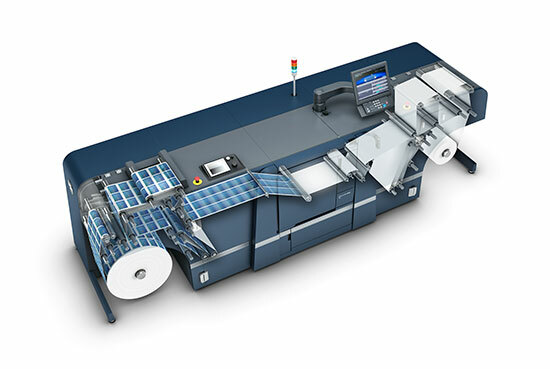 The AccurioLabel 190 is ideal for label converters who are looking to shift volumes from conventional presses to digital – due to the reduction of print run lengths, request for faster delivery times, personalization and versioning as well as production of on-demand runs. The AccurioLabel 190 offers outstanding productivity, brilliant image quality and a surprising ease of use: it is the perfect fit for new market expansion and complementary use with existing analogue machines. With this new engine it is even possible to create an inline connection with converting equipment from Grafisk Maskinfabrik (GM). Specifications are based on the information available at the time of printing and are subject to change without notice.